Althea Brooks Small was the oldest of the three Brooks sisters. In 1887, Althea and her sisters began their study of metaphysics. After attending a class on mental healing, their enthusiasm for the new teachings resulted in their dismissal as Sunday School teachers at the local Presbyterian church. Thereafter, the sister became active in the Mental Healing Movement. The three sisters would later lay the groundwork and be co-founders for the institutional establisment of the Divine Science. 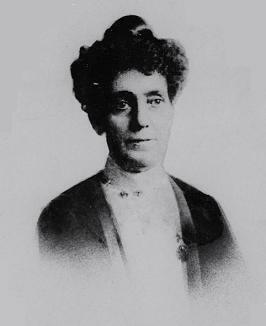 Althea Brooks played a key role in the establishment of the Colorado College of Divine Science, where she served as its first President beginning in October 1898. Along with Fannie Brooks James, she was instrumental in setting course for the Denver Divine Science activity, serving through the time that Nona Brooks committed to full-time ministry and leadership of the College and Church. Althea was a key influence to her sister Nona Lovell Brooks, prompting and supporting her to follow her vision and fulfill her mission as one of the essentual visionaries behind the birth of Divine Science. She was married to Charles Small, who was a real estate partner of Charles Fillmore (co-founder of Unity, the largest New Thought denomination at the time). Althea Brooks, along with her sisters Nona Brooks and Fannie Brooks, founded the First Divine Science Church of Denver in 1887. It was later renamed The Althea Center. Divine Science was one of the first distinct New Thought sects and is the oldest one still in existence; it was then the commonly used expression to describe New Thought in general. Divine Science knows no authority but this self-evident truth from which to reason and upon which to base its decisions. Its true knowledge consists therefore in knowing the true nature of the Supreme Source and Cause, its action and result, and the individual application of this knowledge in every walk of life. The metaphysical teachings of Divine Science appeal to those eager to hear law and order revealed as based upon the one perfect Mind. The spiritual teachings appeal to those who love the Fatherhood of God; but so closely linked are the spiritual and the metaphysical, so united are religion and science, that those who are drawn by the appeal of science eventually find themselves religious in the truest sense, and those who think they want only the religious, develop into scientific thinkers. Divine Science And Healing - A Text-book for the Study of Divine Science, Its Application in Healing, and for the Well-being of Each Individual. Divine Science - New Light Upon Old Truths, To All Who Seek More Light - Lessons and studies upon the Science, or right knowledge of Divinity. Mental Healing Made Plain - Spiritual principles of the mind for healing the body.